Our best-practice philosophy and approach sets us apart. 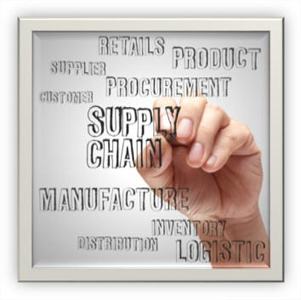 Providing end-to-end supply chain solutions and specialty services. Outstanding track record for achieving efficient and effective supply chains. The role of the Supply Chain Management has never been as important as it is in today’s globalized Economy. Supply Chain speed and agility have become two key levers for competitive differentiation and Enhanced profitability. Supply Chain Transformation is the key to the business success. We at SIRI Supply Chain and Management Consulting focus on adding value to the business processes in order to deliver quantitative and qualitative outcomes that enhance top line revenue and bottom-line for shareholders and business owners. “Develop and Deliver Customised End to End Supply Chain Solutions that transform the Business and Deliver Competitive differentiation”. “Customer First” is Core Objective of our Organisation. Quality and Consistency are core components for Supply Chain Sustainability. We firmly believe that Consistency and Quality outcomes go hand in hand. We endeavour to provide our customers with services which are customised and exceed their expectations and deliver tomorrows solutions for today’s needs. We are committed to continuous improvement and deliver consistent outcomes”. We firmly believe that customer loyalty is our investment and our intellectual property is returns to our customers. In order to deliver total customer experience, we make sure that we understand customer needs first, we encourage customer feedback at every stage of engagement, and we endeavour to make sure that there is no detail is ignored while developing solutions. We are always willing to stretch that extra mile for our customers.